As reported on CMSWire earlier this week, stock media library, PhotoShelter have recently launched Libris, a SaaS DAM solution. 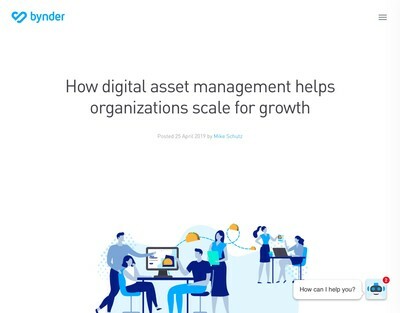 This follows similar moves from other larger stock media libraries such as Shutterstock and then Adobe moving into stock media (going in the other direction). PhotoShelter appear to have gone with the ‘build’ rather than’buy’ route and developed their own DAM rather than acquire an existing vendor (as Shutterstock did with previously independent DAM SaaS provider, WebDAM). Centralised Image Database and Management: Uploading to a central location and granting user-permissions by administrators. Sharing: Grant access to groups of users like agencies, partners, designers, marketing, sales etc. Organisation: Metadata management, sort and search photos by filename, photographer, keyword, caption or attributes like date, location or model/property release. Display: Create websites for stakeholder search, enable an unlimited number of logged-in users to see and download files according to specific permission levels. Monetisation: Visual assets can be sold or licensed. Tracking: Monitor access and individual user download activity, track downloads, logs and analytics. Security: Password protection and restricted user logins, as well as anti-theft measures and image redundancy across servers in multiple geographic locations. None of this is at all new and although the monetisation aspect is not a universal feature in every other SaaS DAM available, it is present in a fair number of other alternatives and, further, it is questionable how useful it really is anyway for the majority of corporate DAM users who will have little interest in selling assets to third parties (especially given the minute amount of revenue these initiatives usually generate for those who engage in them). If you wanted to take an average sample of all available ‘DAM Lite’ solutions (especially SaaS ones) then this would be a pretty good benchmark. So, if there is not much that is innovative about it as a DAM platform, what about other criteria like the cost? I’m not sure if ShutterStock boss, Andrew Fingerman really believes what he says above, however, if he does hold that opinion then he should be aware that there are about 30-50 or so other products that are cloud-hosted and come in around that price point or lower (even some that are free for very basic purposes – and they are hosted too). I can recall stock media libraries who had similar integration strategies and offered their own software as far back as 2002 (maybe some before then) and the prices were comparable then, so arguably cheaper in real terms when inflation is taken into account over a 13+ year period. Granted, none were large enterprises and few survive now, but there are some who continue today. The trouble with that metaphor is that you can get started with BaseCamp for 20 bucks a month rather than the $450+ equivalent for Libris (and I don’t know if there is an annual commitment for Libris, but there isn’t with BaseCamp). BaseCamp also had the benefit of being one of the early entrants to the SaaS collaboration/project management market, but Libris is about seven years too late to catch the first SaaS DAM wave and PhotoShelter may now have left it a bit late. The key commercial advantage that PhotoShelter/Libris appear to possess is a ready-made sales channel in the form of buyers of their images, however, as described earlier, there are other aggregated SaaS DAM + Stock Media providers now descending on this market all of them with the same idea and with the same perceived USP as well (such that it’s just a point now, not even a unique selling one). Most higher volume image buyers will register with several different competing providers and get exposed to marketing for their DAM offerings as well, so this isn’t an exclusive benefit either. 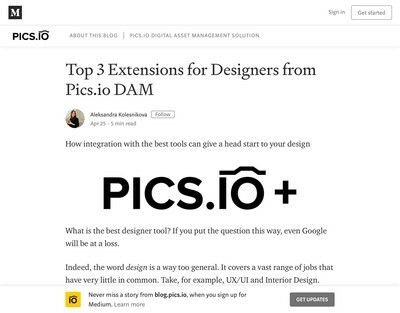 As well as people like Widen, Bynder etc, PhotoShelter’s DAM solution is up against some foes more familiar to them such as Getty, Shutterstock/WebDAM plus Adobe and a number of other hybrid media and SaaS software aggregators. The overall impression I get when seeing this type of news is that the SaaS DAM market is ripe for a large write down in top-line revenue – a price crash in simpler terminology. $5-6k certainly is not as low as it might go to in the near future and by my reckoning, it places Libris at the higher-priced end of the DAM Lite market segment and not anywhere near as competitive as Andrew might want you to believe. 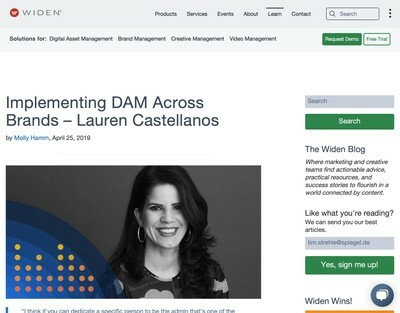 As we have mentioned on DAM News several times, those vendors unable to innovate or carve out a specific niche within DAM which they can realistically dominate will have to pay to substitute something else for it in the form of heavily discounted prices. Further, they should expect this to be a trend which steadily advances and has an inverse relationship with the fees they can charge users for their software. The DAM market appears to have divided into DAM-converts who have already taken the plunge and invested into it and those who either lack the budget, the motivation or both. What will convert this latter group into DAM users potentially willing to pay money is when the cost becomes so cheap it is more expensive to not use one – like the BaseCamp example offered by Andrew. I suspect many current DAM vendors would prefer to avoid operating in that market and those that do will get wiped out if they try to pursue that strategy. But I note, there are more than a few who think they can. The cost of the raw materials and components required to implement SaaS DAM such as storage, servers etc is following the classic deflationary trajectory that technology markets often tend to. I am not aware of any other market (software or otherwise) where if you get falling costs further up the supply chain, homogenisation within it and a steadily increasing volume of competing suppliers that there is any other realistic outcome than the firms involved slashing their prices and killing each other off as consequence. Perhaps some of them (especially those with established brands and lots of existing users) are hoping they will remain when the numbers eventually thin out to a sustainable level, but I would not want to be a part of this commercial natural selection process as it plays out and they can expect their business model to get comprehensively market-tested while it does. 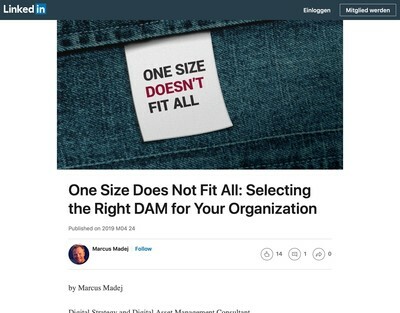 If I were in the unenviable position of managing a DAM software operation, I would be thinking through options to differentiate my firm’s offer very carefully at present and being nearly identical to everyone else is not be an attribute I would be very keen on.